The report on the use of speed camera transparency data by Professor Richard Allsop was originally published in June 2013. Following extensive feedback and debate a revised version of the guidance was published in November 2013. As a result of this update Professor Allsop also revisited his November 2010 study – Effectiveness of Speed Cameras – also published by the RAC Foundation. This latest March 2019 version of the guidance carries an additional addendum. One of the areas covered by Professor Allsop’s 2013 analysis is Thames Valley, for which his revised analysis estimated that fixed speed cameras had reduced injury collisions of all severities by 16% and fatal or serious collision by 14%. In June 2014 a report published by Dave Finney concluded from a different analysis that the reduction in numbers of collisions of all severities attributable to cameras in Thames Valley was smaller or even zero, and that their effect had been to increase the number of fatal or serious collisions. Professor Allsop has reservations about the method used in that analysis, but has adapted his own method to make an analysis of the Thames Valley data he analysed in 2013 as nearly similar to Mr Finney’s as the form of that data allows. The results broadly confirm his 2013 estimate of the reduction in collisions of all severities; they also indicate a clear reduction in fatal or serious collisions, though by an estimated 6-10% compared with the 2013 estimate of 14%. This change in estimated percentage reduction is not statistically significant, but the fact that the 6-10% is less than the previous 14% is consistent with one of the reservations about Mr Finney’s method of analysis. Professor Allsop does not, therefore, regard the method or results of Mr Finney’s analysis as calling into question the findings of his 2013 report. Analysis of data for 551 fixed speed cameras in 9 different areas shows that on average the number of fatal and serious collisions in their vicinity fell by more than a fifth (22%) after their installation. There was also an average reduction of 14% in personal injury collisions in the vicinity of the 551 cameras. However, the research also highlights 21 camera sites (in these areas) at which, or near which, the number of collisions appears to have risen enough to make the cameras worthy of investigation in case they have contributed to the increases. The data was released in 2011 as part of a government move to make speed camera operations more transparent to the public. 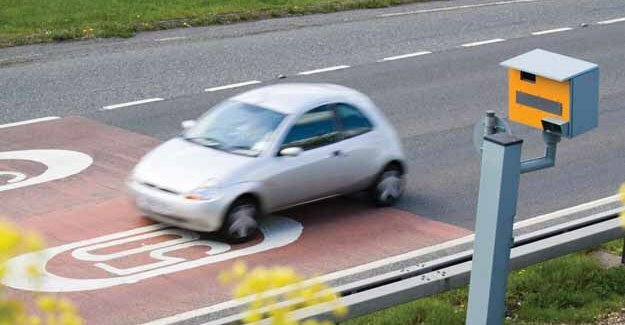 The analysis formed part of work – commissioned by the RAC Foundation and carried out by Professor Richard Allsop of University College London – to provide advice on interpreting speed camera data. The estimates for collision reduction were made allowing for the more general downward trend in the number of collisions in the 9 areas in recent years, and for the effect of regression to the mean at sites where collision numbers were unusually high in the period before the cameras were installed. The study comes in the wake of the 2011 instruction from government that speed camera data going back to 1990, detailing accident statistics before and after fixed speed cameras were installed, be made publically available. Since 2011 only a third (12 out of 36) of the organisations (a mixture of councils, police forces and safer roads partnerships) responsible for the figures have published the information in a format which complies with official Department for Transport guidance. The data for each of 9 areas (with Staffordshire divided into two groups) which did respond appropriately can be found by following the links below. The ‘ReadMe’ PDF at the bottom of the page (alongside the main report) gives a guide on how to use the data once you have accessed it.